I haven’t had a computer in 5 days. I thought I’d be able to just use the computers at school…no biggie. But boooooy was I wrong. The computers at school are slow with spotty internet and I haven’t been able to get a post on the blog until now! So, I’m sorry. Last weekend I moved into a new house in Ottawa, and when I drove the boy back to Montreal (who came down to help me move) I forgot my computer there! Talk about scatter brain. Anyway, I’m back in Montreal now and with my beloved fiance and Macbook. The world is whole again! I’m in Montreal this weekend because tomorrow I’m in running the Rock n’ Roll half marathon! So, here is some healthy asparagus to help you train for your marathon/half marathon/chasing your children around the house. Whatever you’re up to, this stuff is GOOD! 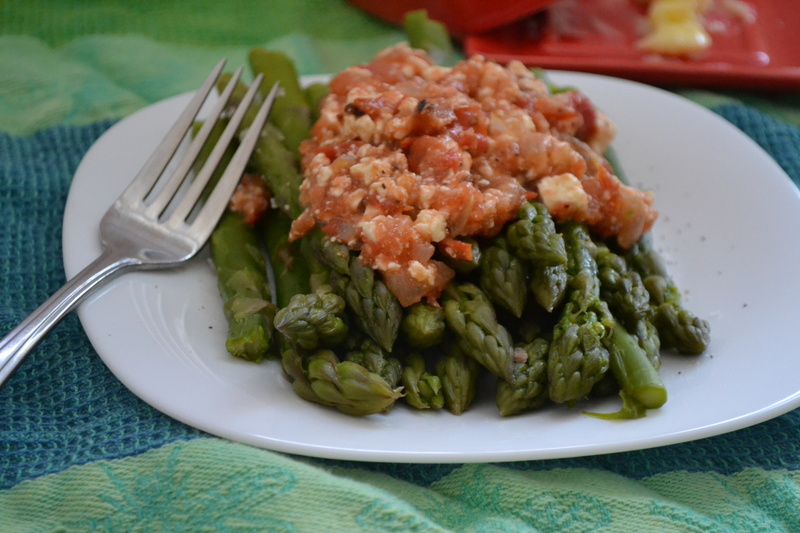 To make this, lay the asparagus in a single layer (or as close to a single layer as you can get) in a large skillet. Add water just until the asparagus is covered. Heat over medium-high heat until the water boils. Reduce the heat and let simmer until the asparagus is tender. Dice your shallot and tomato. Heat the olive oil in a medium skillet or saucepan over medium-high heat. Sauté the shallot until tender, 3-4 minutes. Add the diced tomatoes to the pan and cook 2-3 minutes, just to warm and wilt very slightly. Once the asparagus is tender, remove from the heat and drain. 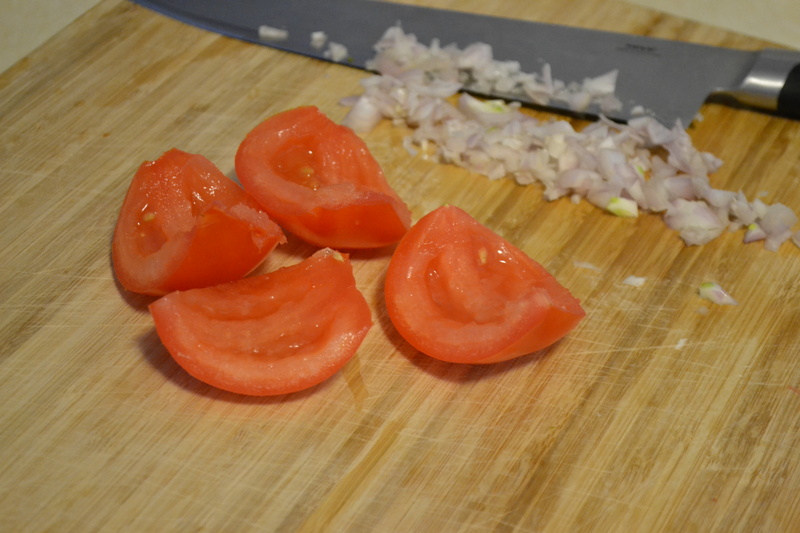 Remove the shallot-tomato mixture from the heat, stir in the feta, and season with salt and pepper to taste. 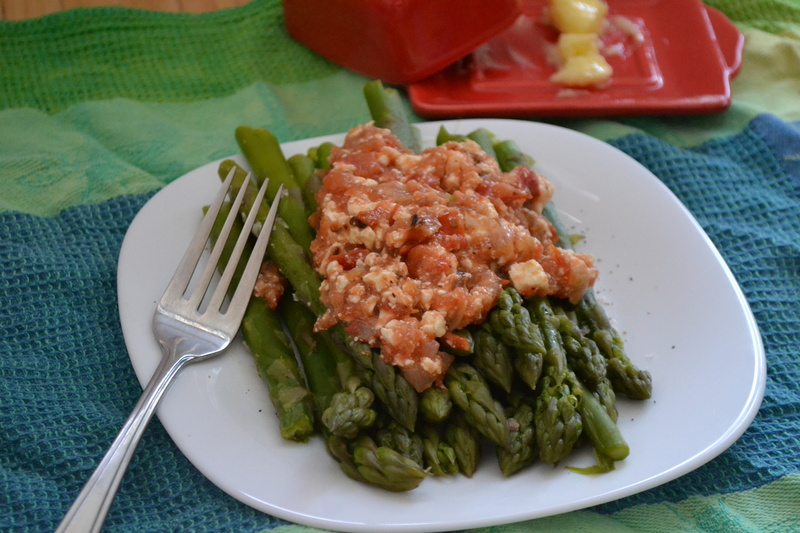 Place the warm asparagus on a serving platter (or individual plates) and top with the tomato-feta mixture. Serve immediately. 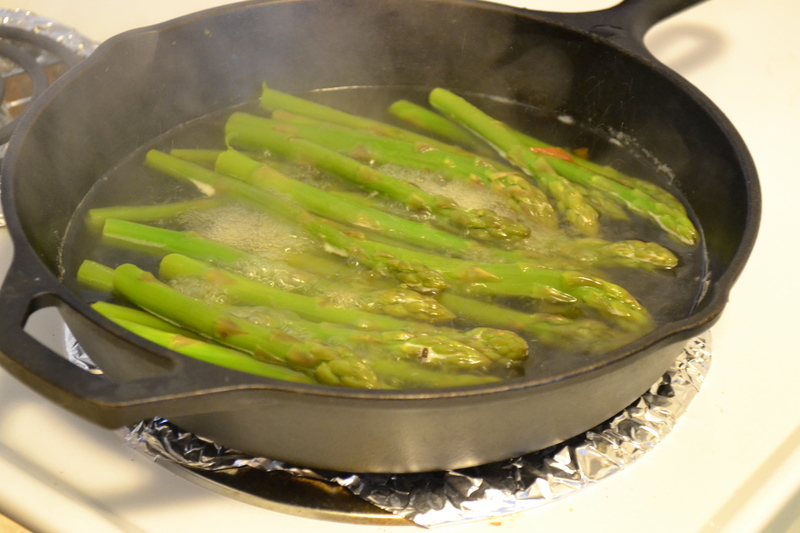 In a large skillet, lay the asparagus in a single layer (or as close to a single layer as you can get). Add water just until the asparagus is covered. Heat over medium-high heat until the water boils. Reduce the heat and let simmer until the asparagus is tender. Meanwhile, heat the olive oil in a medium skillet or saucepan over medium-high heat. Sauté the shallot until tender, 3-4 minutes. Add the diced tomatoes to the pan and cook 2-3 minutes, just to warm and wilt very slightly. Once the asparagus is tender, remove from the heat and drain. 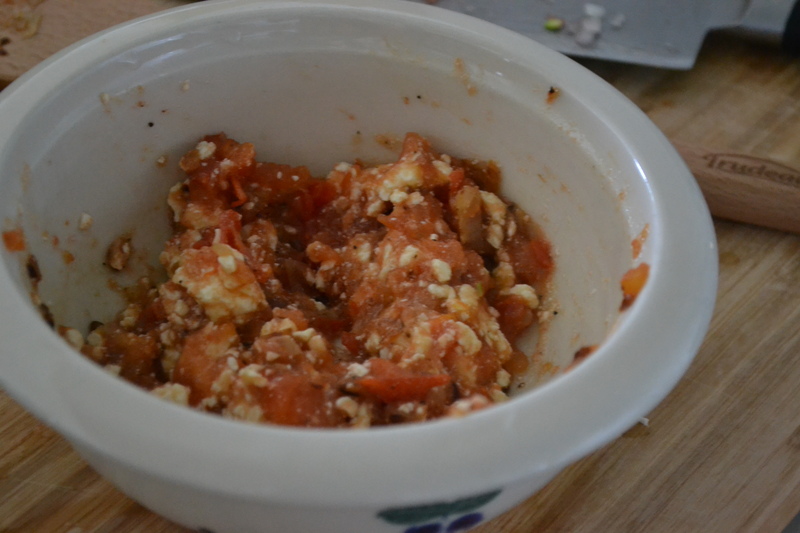 Remove the shallot-tomato mixture from the heat, stir in the feta, and season with salt and pepper to taste.